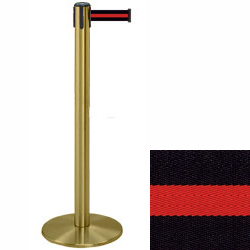 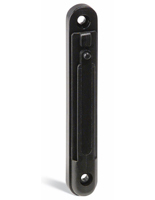 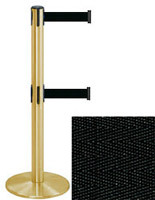 This satin brass public guidance post feature a 7 1/2 foot black retractable belt with red stripes. 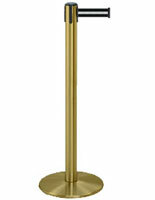 This is a great way to add a touch of color contrast to this sleek looking post. 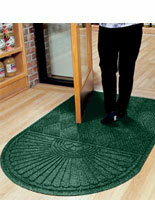 The stanchion measures 38" tall, 13 1/2" diameter base, and weighs 24 lbs., the belt is approximately 2" wide.